In April of 2014, when it would normally still be a bit parky, we had a thrilling burst of summer. We’d heard that there was a fiesta day in the village of Simat, which is at the bottom of the mountain – there are two roads up and down: the one we usually use to our nearest town Gandia, and the Simat one – and we’d barely ever set foot there, so off we went. The fiesta was one big street party, with stalls of food, stalls of beer, and very happy people casting off the memory of winter. Simat has a famous monastery, dating back to the 13th Century, and we were a bit embarrassed that we’d never been to see it. So we walked through the gates and I was surprised to feel…something. I will confess here that I am a nightmare at museums and galleries. I know it makes me a philistine, and I do wish I were different, but it honestly feels like a medical condition: the moment I walk in the door I feel submerged, oppressed, and desperate to escape. But this time, as we walked, I was aware of utter stillness, the dry coolness of the ancient walls and the oaky grandeur of the towering wooden doors. And then, spellbindingly, we came across a mature rose garden in full bloom, bordered by orange groves in blossom (swoon), and lavender growing at the base of the rose bushes. It was one of those sensory moments I’ll never forget, when even the sky seemed fragranced, and it couldn’t have been a more obvious inspiration (there really should have been a clap of thunder, or a choir of angels) for a candle. 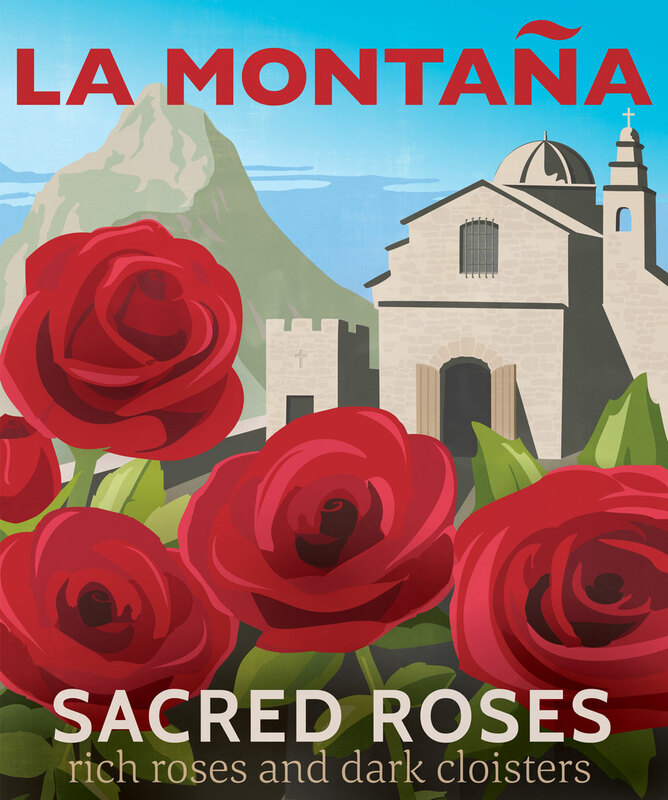 The name came to us right then and there: Sacred Roses. It wasn’t a straightforward brief, because we’d decided that the scent of the stone walls of the monastery was a significant part of what we’d experienced, as were those towering wooden doors. Fun fact: these types of doors – giant, tall ones, with a normal sized one within them – were to accommodate both people on foot and people on horseback. with lavender and orange blossom, as well as warm geranium and violet, and woods and musk to include the resinous scent of the wooden doors. The genius note, in my opinion, was using chamomile to evoke the monastery walls (because, frankly, I had NO idea how she was going to do that!) but, somehow, that ancient medicinal herb has just the right qualities to suggest ancient stone. Who knew?